Eastern Canada including the St. Lawrence River, Ottawa River, Gulf of St. Lawrence and off the coast of Newfoundland and Labrador. Sargasso Sea from the Bahamas to Bermuda. 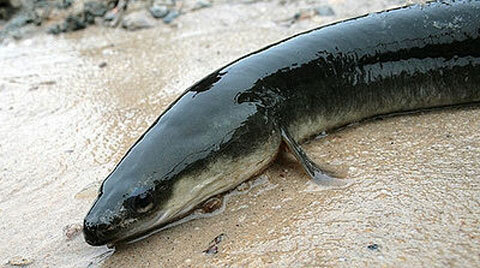 The American eel is a bottom-dwelling catadromous (migrates from fresh water into the sea to spawn) fish found in eastern Canada and United States. They can be found in various habitats, such as streams, rivers and muddy or silt-bottomed lakes during their freshwater stage, as well as oceanic waters, coastal bays and estuaries during their marine stage. Eels are generalists, which means they will eat almost any small aquatic organism they can, including crustaceans, small fish and insects. Eels are nocturnal and therefore feed at night, so they rely on their keen sense of smell to find food.